Because what is cooler than a floating brain with iity-bitty claws? How about add a row of menacing teeth in a snear? 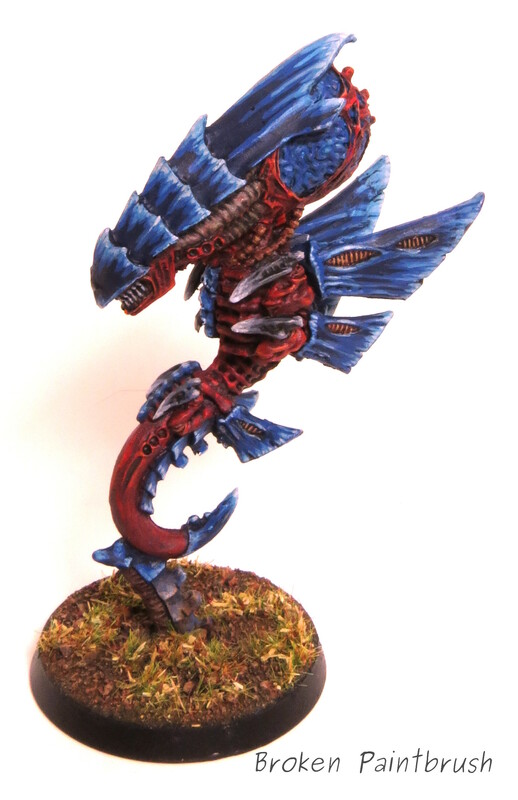 And with that, I present the Tyranid Zoanthrope from Hive Fleet Behemoth! 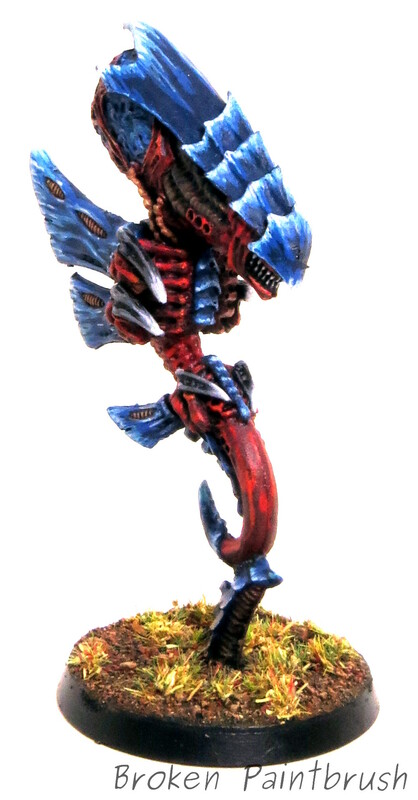 This is the ‘old’ Finecast model that was at least an upgrade for the extremely top heavy metal version, but that little point between the tail and the ground spike is a point that keeps breaking. To prevent this I have added a small pin so we will see how that holds up. The biggest question for the colors on this guy was what to paint the brain. I decided to keep it blue but reverse the highlights from the carapace so the depths were the white and dark blue on the ridges. This helps give a glowing, alien look to it and contrasts to the hard plates. I love the skin stretched over the brain. If GW ever asks my opinion for the greatest sculpt, this may be among my top 10, though the new plastic version is pretty cool too. The only issue I had with this is the finecast does not hold up too well at that little bit that connects the top-heavy brain beast to the rising spire. So while the metal version may have had a tendency tip over and crush models under its cranium, it would not have had this same failure point. 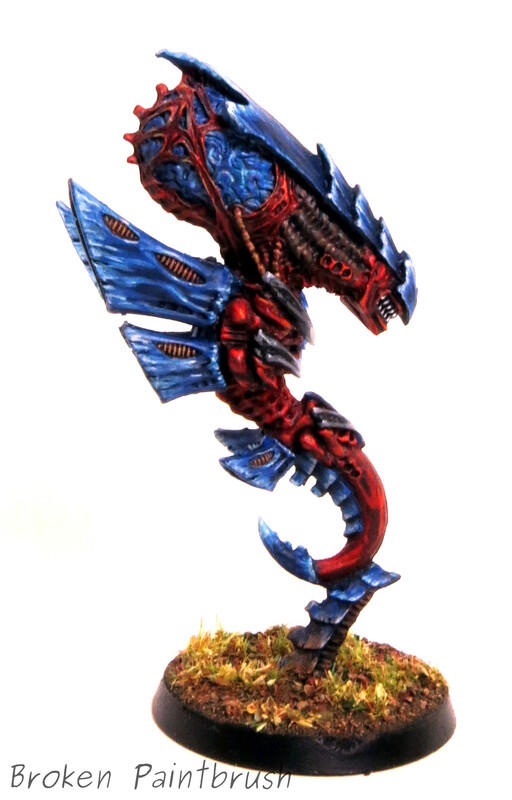 With the snarling teeth and giant head crest, this is one awesome looking alien. It is a concern that a single Zoanthrope may not last long in a game, so the plastic kit maybe a necessity at some point.